SQUARE today is more than just an organization, it is an institute. In a career spanning across four and half decades it has pioneered the development of the local business in fields as diverse as Pharmaceuticals, Toiletries, Garments, Textile, Information Technology, Health Products, Food Products, Hospital, etc. With an average Annual turnover of over US$ 200 million and a workforce of about 3500 the SQUARE Group is a true icon of the Bangladesh business sector. SQUARE Toiletries Ltd. started its journey in 1988 with a single product as a separate division of SQUARE Pharmaceuticals. 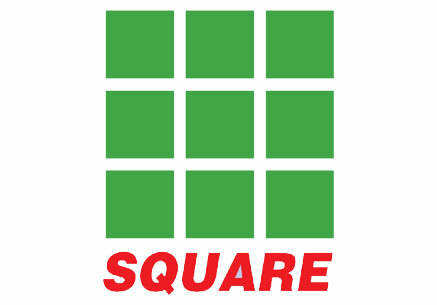 In 1994, SQUARE Toiletries Ltd. becomes a Private Limited Company. At present, STL is the country's leading manufacturer of international quality cosmetics and toiletries with over 50 products. Currently, STL is Carrying out its production in its two automated plants at Rupsi and Pabna. Depending on the nature of products, formulation and packaging, STL has product specific machinery. STL uses raw materials from the world renowned suppliers like Dragoco, Firmeuich etc. STL always performs international standard production process which follows the Good Manufacturing Practice (GMP). 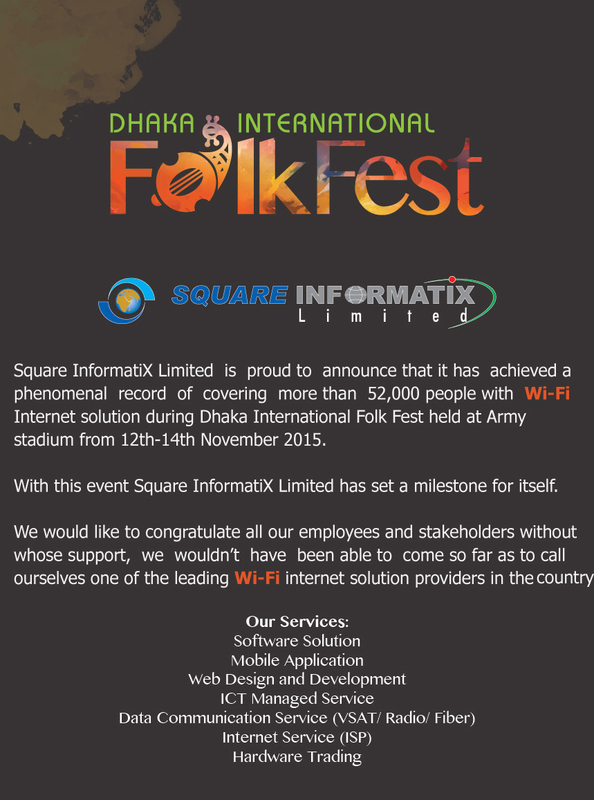 Square Food & Beverage Limited started its operation as an individual company. Within a very short span of time SCPL has drawn the attention of the consumers by providing quality products and preferred services. Square Agro Development and Processing Ltd.
SQUARE has setup a plant tissue culture laboratory to develop agricultural/agro processing sector in the country and is committed to bring improved quality planting materials and year round production through AgriBiotech. The major activities of AgriBiotech is to provide disease free, stress free, high yielding seed & seedlings such as potato, banana, ginger, turmeric and some flowers including varieties of orchids to the farmer & nurserymen to solve quality seed problems in this agro based country. Well equipped around 4000 square feet tissue culture laboratory is situated at Uttara, a convenient location, having careful designing and planning, facilitated to produce 10,00000 seedlings per year. The other activities of this project will be of research and development in the field of Biotechnology to protect some of endangered medicinal plant and to bring some new as cane, rattan, bamboo which is almost extinct in the country. 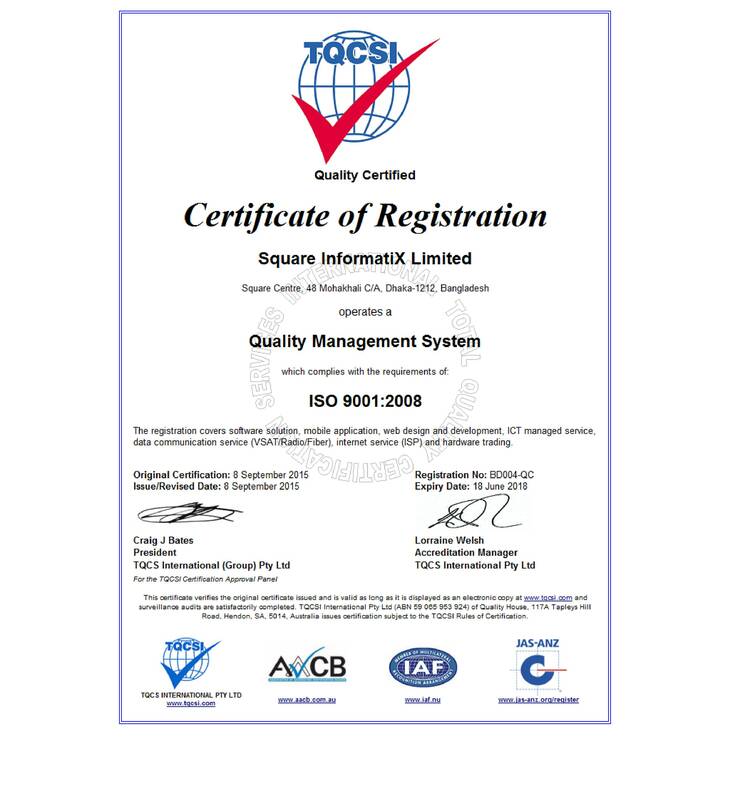 Aegis Services Limited is a sister concern of SQUARE Group. Realizing the necessarily of a professional security organization for the protection various industries, plants, projects and houses Square Pharmaceuticals Limited took the venture to organize a modern, well trained and professional security organization which was given the name “Aegis Services Limited”. ‘Aegis’ means impregnable protection or shield. This name is to denote Aegis will protect the interest of the company from outside security threats like a shield. This well trained personnel’s of Aegis are devoted to protect the assets of square group and selected clients out side of square. SQUARE Hospitals Ltd., a concern of Square Group, is a 300 bed tertiary care hospital. The hospital is an affiliate partner of Methodist Healthcare, Memphis, Tennessee, USA; Christian Medical College-Vellore, India; and Care IVF (In-vitro fertility centre) Centre, Singapore. Square Hospitals' vision is to become the location of choice for Bangladeshis and people of South and South East Asia for quality healthcare, as well as an integrated centre for clinical services, medical and nursing education and research. The hospital is located in the heart of Dhaka and aims to serve a greater portion of the capital city. At present it comprises two buildings on either side of Panthapath connected by an over-bridge. The main hospital building is 18 storied tall and is approximately 450,000 sq.ft. The second building (ASTRAS) is located across the street and is 16 storied with 136,000 sq.ft. Both facilities are constructed in accordance with the US Fire and Building safety standards. The outpatient department of this hospital can serve up to 1200 patients daily, through 60 examination rooms. To ensure optimum healthcare-hospitality, the patients are closely monitored in their waiting times in the outpatient clinics, emergency and admissions.